We now learn that the latest casualty in Happisburgh’s ongoing battle with the sea is our Lifeboat launching ramp! How much longer is the Government going to absolve itself of all responsibility here? How much longer can HM Government unload its responsibilities for our Sea Defences onto North Norfolk District Council? The situation here is critical. Government investment is long overdue and urgently needed. The level of investment now required is way beyond any Local Authority’s financial capability ! It seems increasingly likely that Westminster will only react to serious consequences i.e. loss of life! They seem set to continue ignoring our plea for help and North Norfolk District Councils repeated efforts to address the problem in a timely fashion. My message to Messrs Blair, Beckett and Morley is thus : You are failing absolutely the people of North Norfolk in a total dereliction of your duty and responsibility to protect every citizens right to the enjoyment of his or her home and family life. It is entirely within your power and capability in every respect to afford that protection. All that is lacking is the will to do so!!! With the closure of the lifeboat ramp there is no longer any access to the beach at Happisburgh of any description. This will, I feel sure, have a knock on effect on businesses here which rely on the summer trade for their very survival. Tragically this may also be reflected in the popularity and value of property throughout the village. Happisburgh is not alone amongst coastal villages or towns whose greatest asset is their beach. Indeed part of the local economy is geared to it as well as it being one the attractions for those wishing to move in to the area. There has been a view promulgated for some time now that Beach Road is not part of Happisburgh this was recently stated by a Parish Councillor at a Parish Council meeting. What an absolutely ridiculous statement to make. 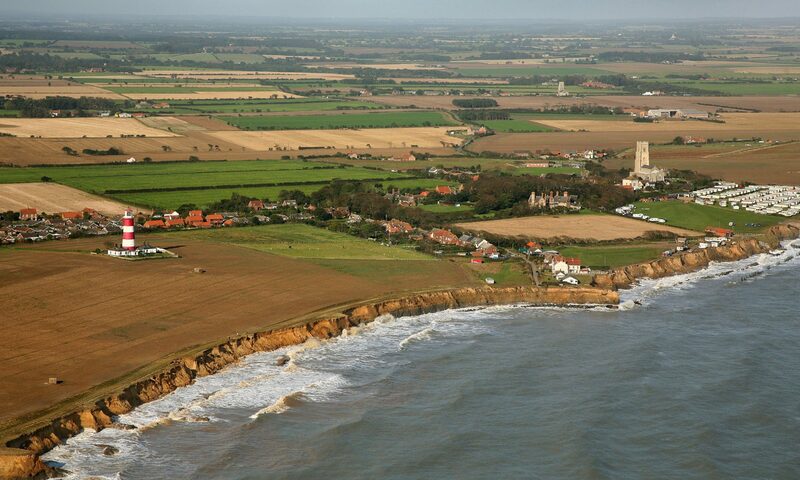 Others hold the more sensible view that Beach Road, in terms of sea defences, is the very bastion of Happisburgh, surrender that and you put the very heart of the village at risk. Quite why the Parish Council have consistently opposed the latest scheme for the protection of the village and sought objectors to oppose it remains a mystery to many. Had the sea defence works been put in place it is fair to assume that confidence would have increased, business would have been secure and the value of property would have risen, probably in excess of the regional or national average. For too long now Happisburgh has surrendered too much without a fight. We must all make the case that we will not surrender any more arable land, ( so important to the rural economy ), any more residential property or allow the caravan sites, shop, guest houses and public houses to suffer nor surrender the lifeboat station, of which many of us are justifiably proud, without a damned good fight. We must all carry the fight to the very heart of Government. On this issue no matter where we live in Happisburgh we are all ‘our brothers keeper’. To the two objectors and those who sought their objections, I would say : You have done immeasurable harm to this community, you have caused much suffering and you have placed many more homes at risk. Get out of our way, your meddling and interference is not welcome and has cost us dear.